This summer, Youth Square is going to facilitate your startup plans! Youth Square is going to organize a series of Startup Friday Talks in this summer for the youths who are having different experiences, being creative and striving to pursue their startup dreams by exploring their every possibility through communication, exchange and interactive learning. 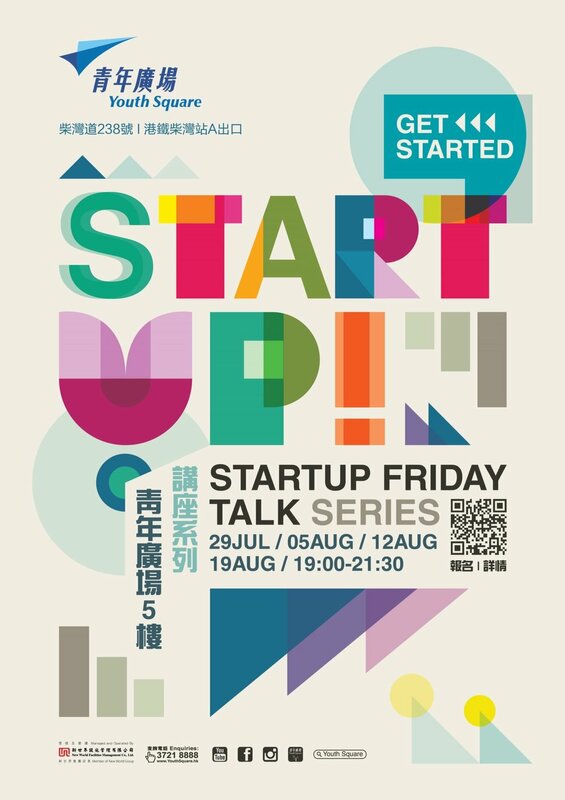 Startup Friday Talk series will be arranged on every Friday night during July and August. A variety of guest speakers will be invited to share the opportunities and challenges of starting a business, experience of applying funding, strategy of sustainable development, and guidelines on financial planning. Please refer to the online version for any update on date and guest speaker. Application: Interested youths please fill in the online application form by 25 July. Youth Square will reply by email within two working days after the application deadline. Space is limited, join us now!